The prison system in the Victorian age was “a place of confinement for persons labelled as unfit to live in normal society”. The prison system contained courts, hulks, prisons, debtor’s prisons, and consequences. Each of these went through a remarkable transformation during this time period. It is true that during the Victorian Era, the number of convicted criminals rose sharply, and that therefore there were changes in the British prison system: offenses went up from about 5,000 per year in 1800 to about 20,000 per year in 1840. How were the prisons in the 1850’s? Different countries imprisoned debtors, delinquent juveniles and felons. 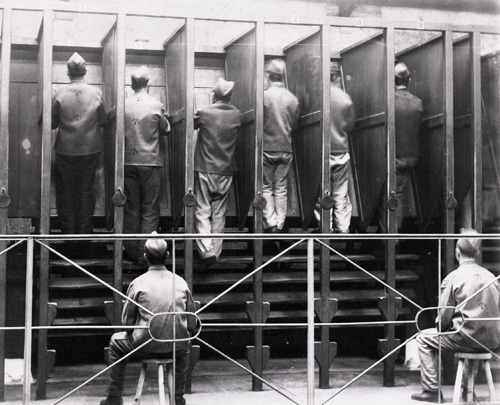 Jails were mostly dark, overcrowded and filthy. All types of prisoners were herded together with no separation of men and women, the young and the old, the convicted and the unconvicted, or the sane and the insane. The poor conditions were described in detail by Charles Dickens, in his book “Great Expectations”. The description is from his own experience in debtors prison as a child. 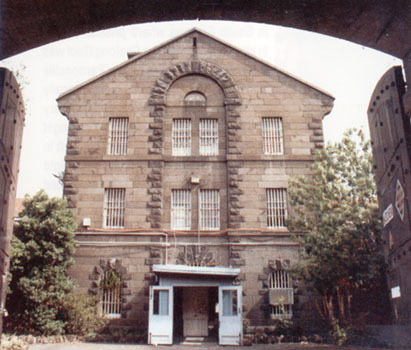 Debtors prison was a place where they took people who couldn’t pay their taxes, rent or debts. These places were commonly workhouses where they would make potato sacks, baskets, and other mass-produced items. These are very similar to the ones in the Charles Dickens novel “Oliver Twist”. A debtor’s prison could also be a small jailhouse resembling a small house or shed. This would be a place for debtors and their families to stay in for a short sentence. Normally, if a debtor had a family, then they would accompany him in prison. In the early 1860’s prisons were reformed. In some prisons, the cooking was excellent, far better than in most ordinary inns. It seemed that the convicts were not just well fed, but fed as well or even better than some non-criminal Londoners. Food is not the only area where English convicts seemed to far better than non-convicts. The convicts got exercise, had regular habits, sufficient feeding, were healthier than the average population and didn’t have to worry about keeping a job. Once a week, every man had an excellent bath. The bedding was good, the whole building was warm and every corner was thoroughly ventilated. It provided schooling for the criminals. They were also allowed to borrow books from an excellent library in the prison. It seemed more advantageous for an Englishman to commit a crime, thereby be convicted to prison, where he could obtain better food, baths, and good warm lodging, than if he were struggling on the streets of London.